Gene Williams was born in Brooklyn, Texas to Norman and Virgie Williams on September 16, 1936. He grew up in San Augustine and Nacogdoches Counties and attended Nacogdoches High School. 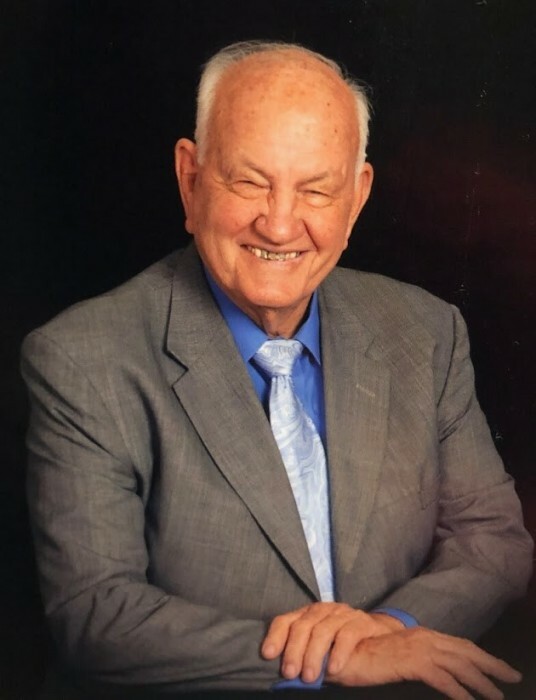 He loved the outdoors, was an avid hunter and fisherman, and he enjoyed many years tending cattle on his farm in Broaddus, Texas. He was self-employed as a Custom Home Builder, a Timber Contractor, and finally as a Timber Scout. Upon retirement, his entrepreneurial spirit and friendly disposition kept him busy selling tires and making new friends. He met the love of his life, Wanda Lee Womack at the skating rink and they were married July 6, 1956. Together they had four children to which he passed down his love of God, singing, and the outdoors. Gene is survived by his wife Wanda and four children: Mike and wife Kathy Williams of Nacogdoches, Rhonda Wright of Harker Heights, Debbie and husband Robert Hendrick of Salado, and David Williams of Georgetown. He is also survived by 12 grandchildren and 13 great grandchildren: sister, Lorine and husband Cecil Hopson of Nacogdoches: brother, Johnny Williams of Nacogdoches and other relatives and friends all across east Texas.